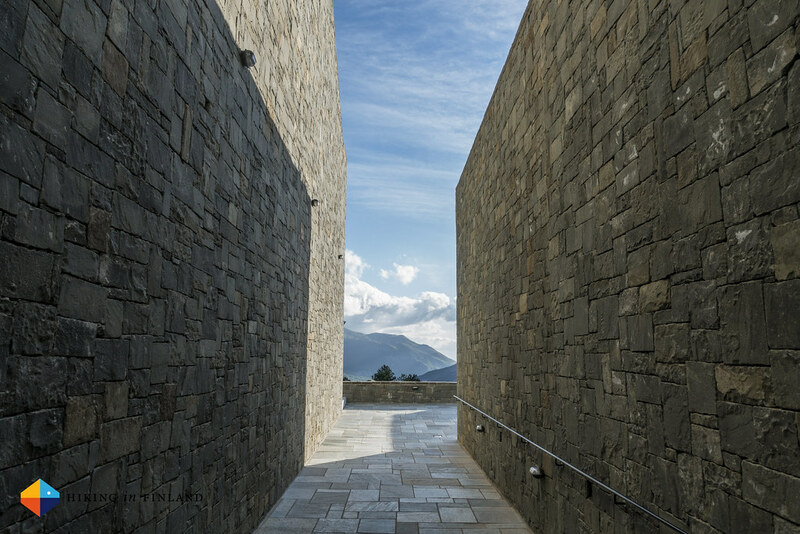 A place so unbelievable, you have to visit it, immerse yourself into it, to comprehend it. 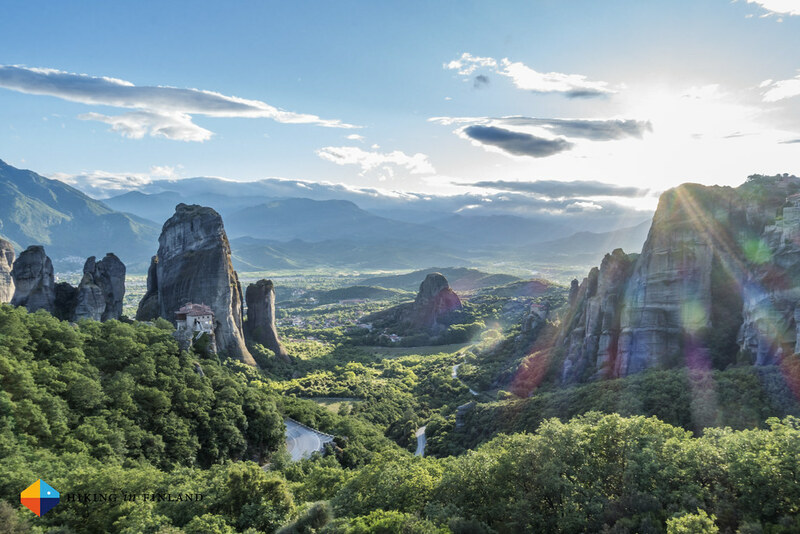 I fell in love with Meteora in 2014 before I ever have been there. 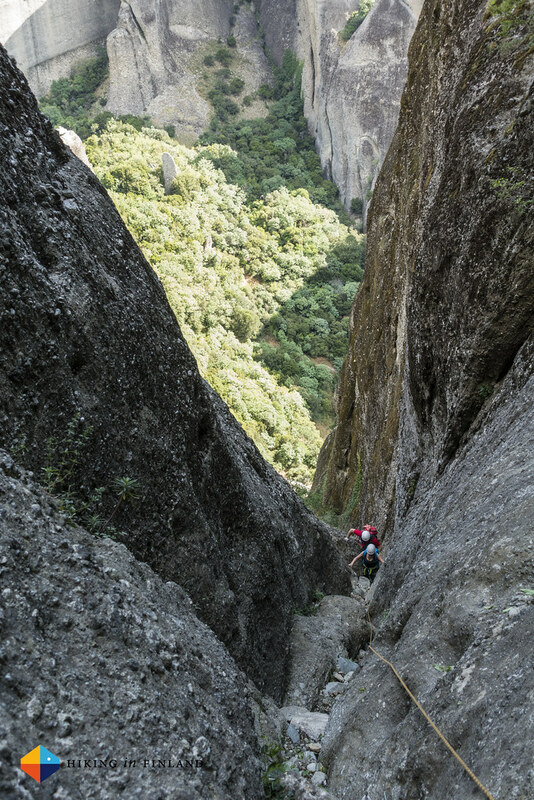 As the Petzl RocTrip was announced and I saw the photos from Meteora I knew that it must be a magical place, not only for climbing, but also for just being there, exploring these mountains, hiking through the forests, sucking in the famous Greek hospitality. 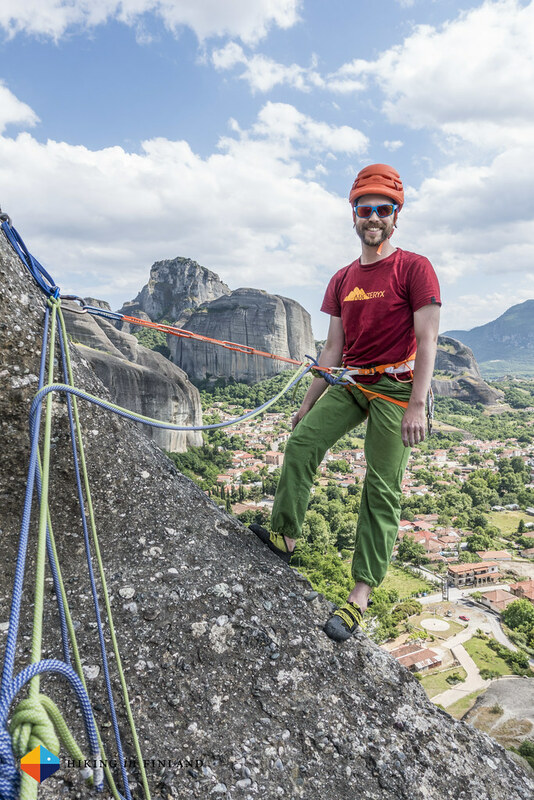 Things turned out well in 2014 as Petzl invited me on the RocTrip, though I would join it later in Turkey (which is a gorgeous place, too). 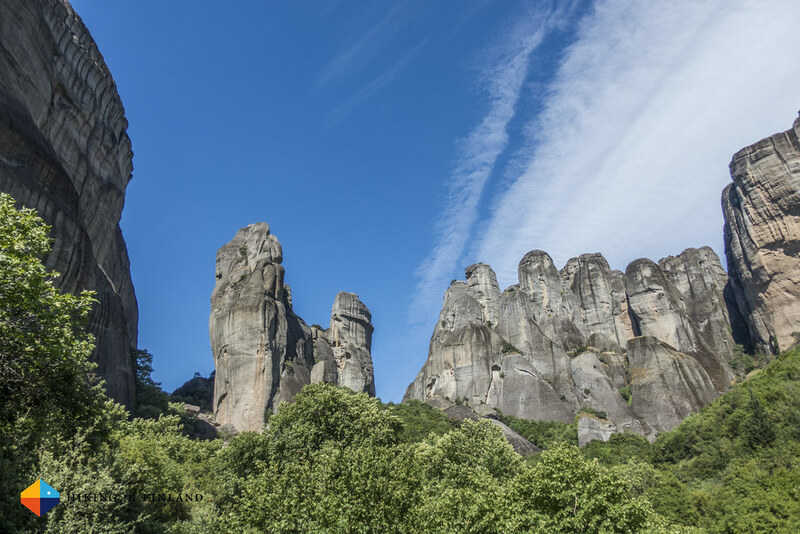 But then things again turned out well and I was invited to the AdventureNEXT Conference in Macedonia, and after my fantastic Pre-Adventure I was super-psyched to finally see the rock towers of Meteora myself. 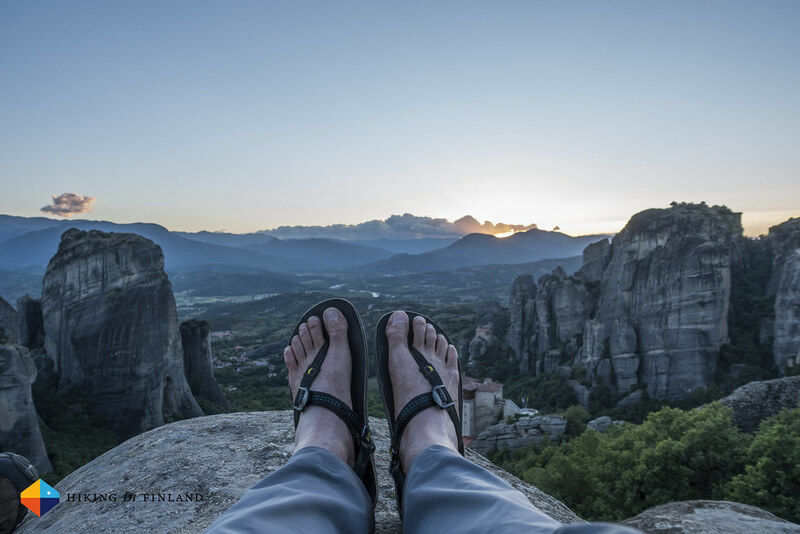 But before I would lay my eyes on Meteora I and my travel companions were treated to a night in a 5 Star Hotel, a visit in a winery and a sunset hike in the gorgeous mountains of Northern Greece. 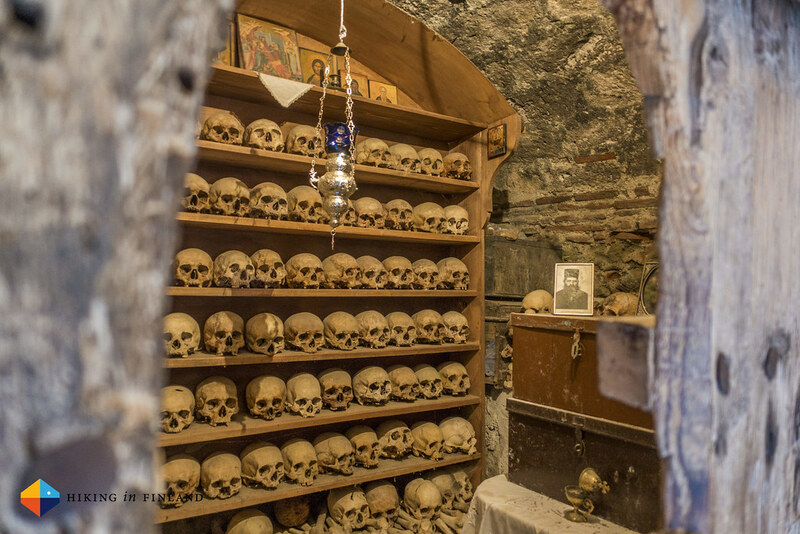 And after having seen this beauty I’m surprised that most people seem to be thinking about Athens, Kalymnos and the beaches when one mentions Greece. 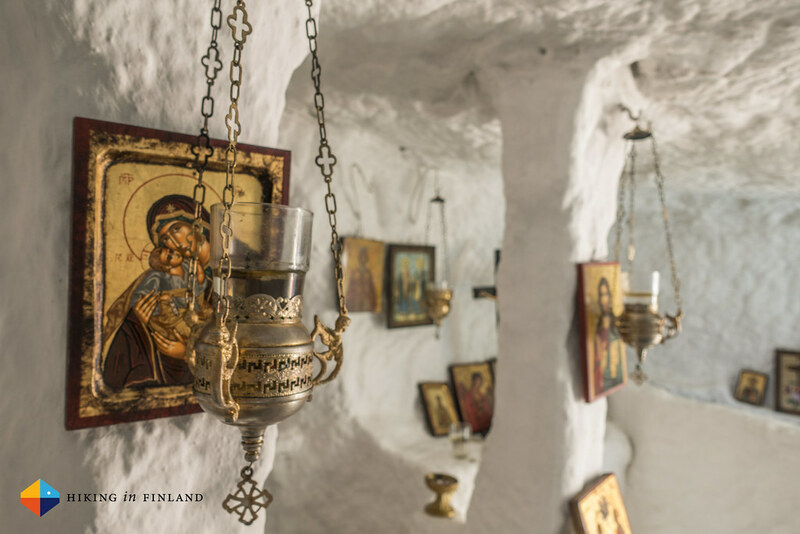 Because Greece is a lot more than those destinations, and it is off-the-beaten track where real adventure awaits. 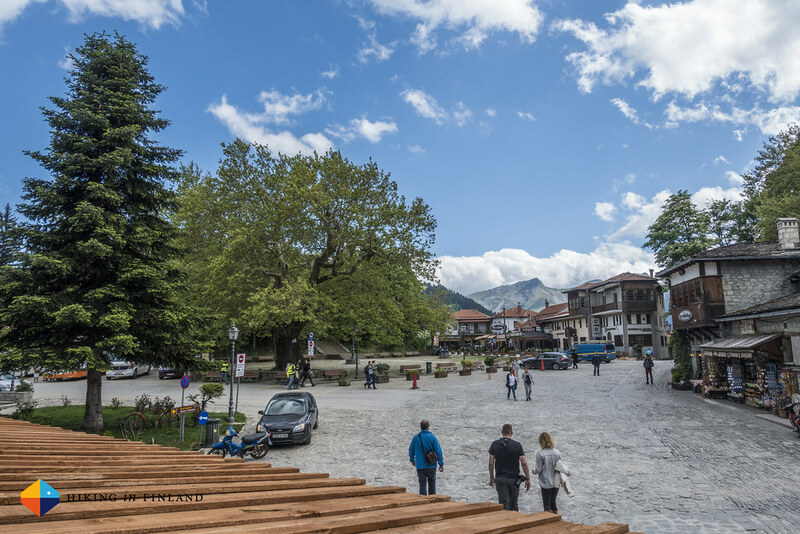 So our first off-the-beaten-track stop took us to the town of Metsovo. A calm town nestled into the side of the mountain it has a picturesque square where old men meet on Saturday morning to have a chat, narrow cobblestone streets create a maze in which you can get yourself lost and original Tabernas where you are treated to tasty greek food and wine from the Katogi Averoff Winery. 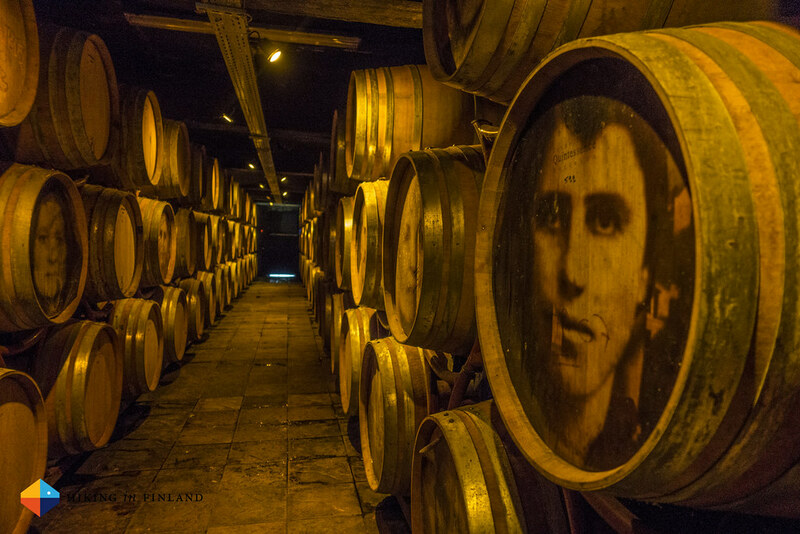 That winery we visited, and if you imagine a winery being nothing else than a collection of dusty barrels then you’re in for surprise: Besides barrels full of tasty wine the experience of walking through the wine cellar is similar to walking through a modern art museum, as you will be surprised by each turn of a corner by new colours and art, until you arrive at the bar where you’re sitting down to try the local wines. 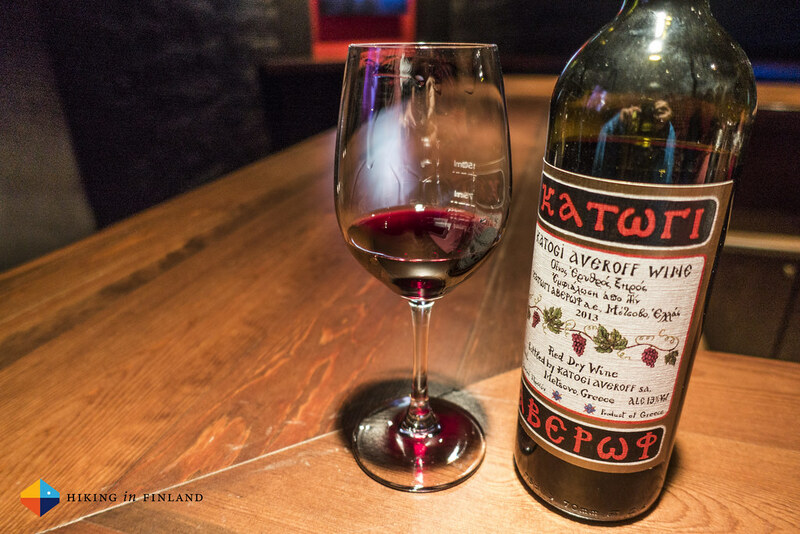 After tasting these fine wines we continue our walk through Metsovo, passing fine old houses which enjoy wide views on the mountains around us. 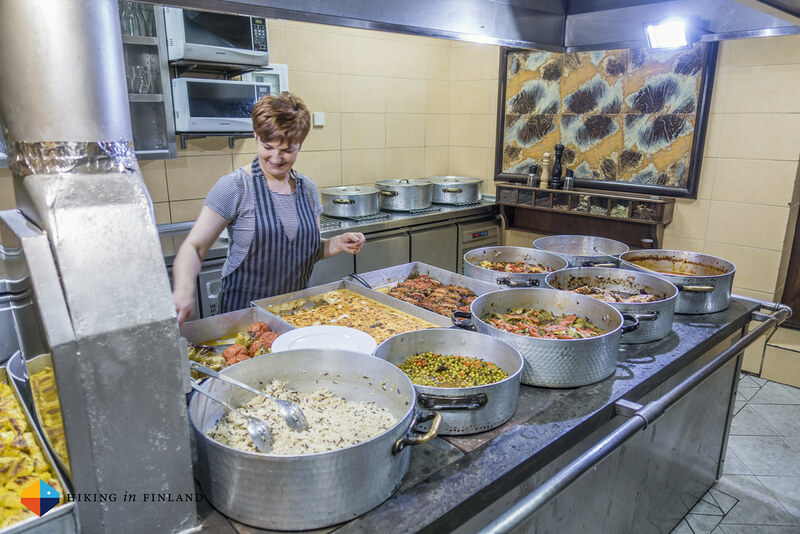 Locals eye us curiously and smile when we walk past, a local Taberna being our goal. 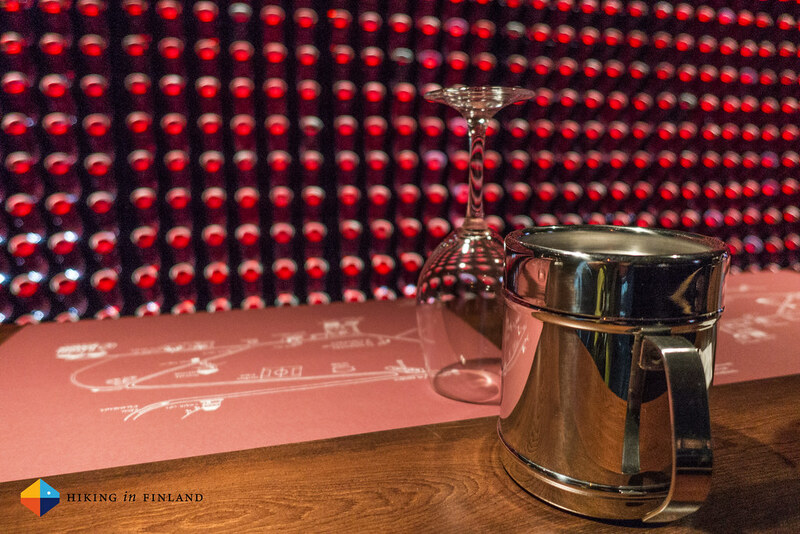 A few logs burn in the open stove, from the table we enjoy a view into the kitchen, and it doesn’t take the attentive waiter to bring us some tasty starters and glasses of Katogi Averoff Wine. Laughter and smiles fill the room as we eat, and we speculate what might be next in store for our group. 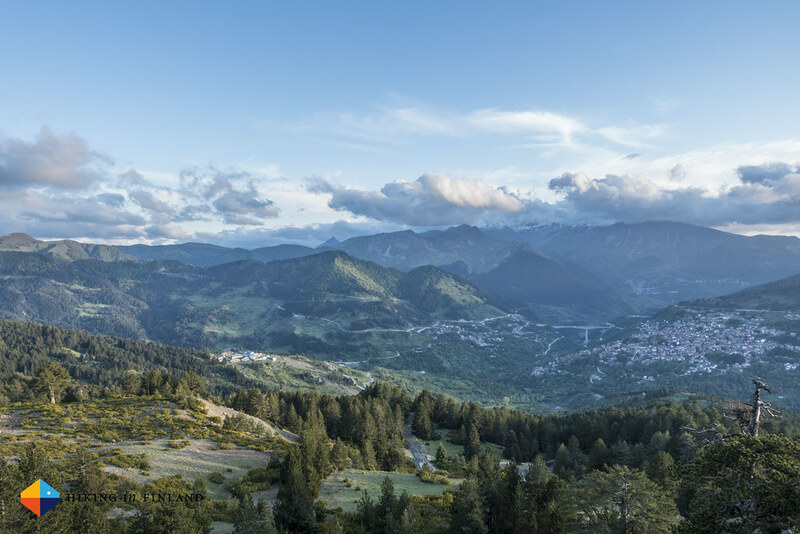 Turns out it is a visit to the new Grand Forest Metsovo Hotel, which sits above the town and is surrounded by forests. But before enjoying the luxury of a warm shower and a glas of Scottish Whiskey we hit the local trail which starts in front of the hotel. 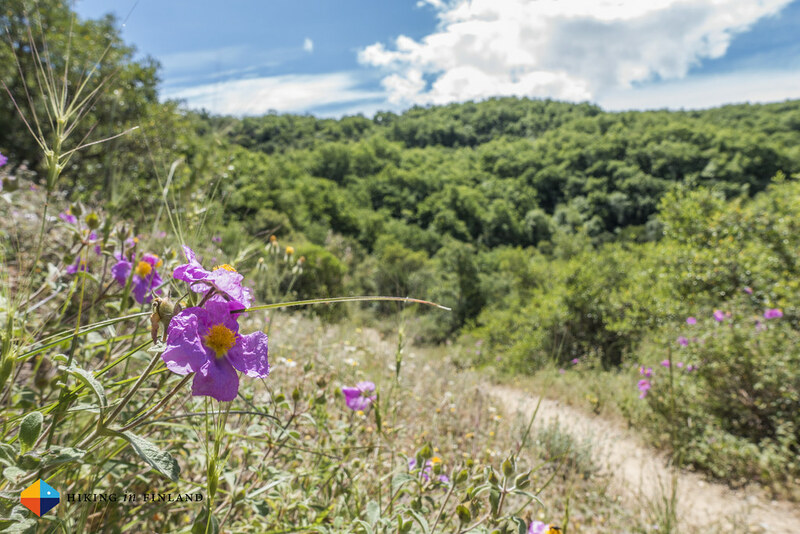 The Ursa Trail is not just a pretty trail which takes one high up the mountain behind the hotel, it also hosts a trailrunning race each spring. My companions descent while I linger high up the mountain, enjoying the far views and the fresh wind in my face. I watch the sun disappear behind the hills, treasuring that memory of the lines of mountains which build up in front of me, like waves in the sea. On the way down I keep up a happy tune, because bears are indeed not seldom here, and I’d rather not be the dinner of Brown Bear tonight. Back at my room I am enjoying the feeling of hot water on my skin, rubbing down the sweat and dust of a day well spent, and look forward to sit down at the table with my friends for what was a very tasty Dinner. After a final glass of wine we all go down to our suites, laying down on comfy beds and dreaming of the rock pillars of our next destination. 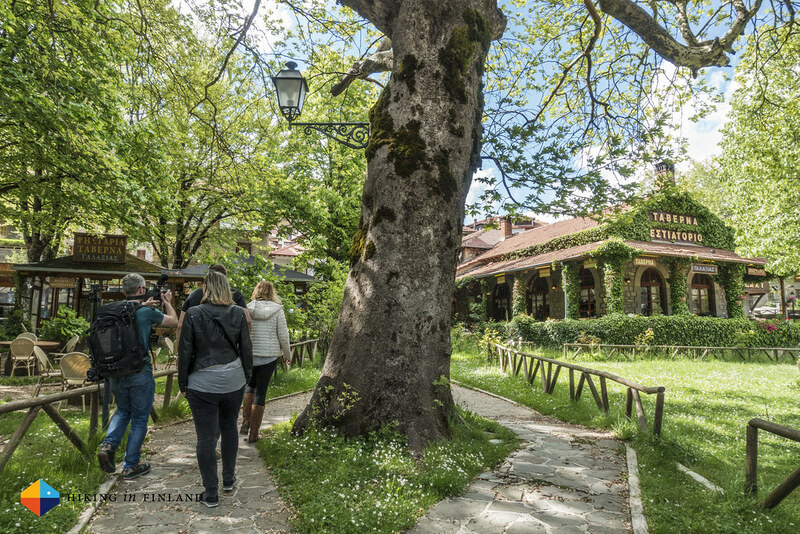 The next day started as sunny and warm as the last one, and after a delicious breakfast at the Grand Forest Metsovo Hotel we check out and board our Minibus to Meteora. It are just a few hours of driving, but already after a while I could make out from high in the mountains the faint outlines of the mountains of Meteora. The closer we got, the more excited I became. 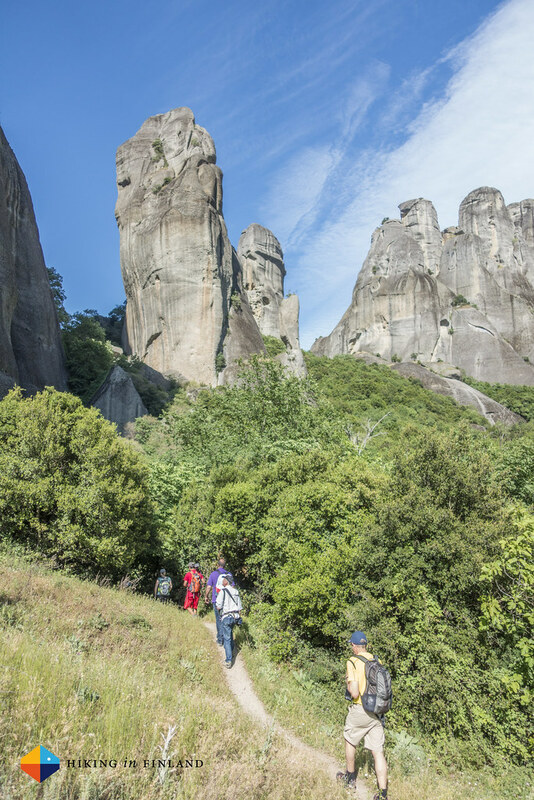 I finally would be able to see the rocks of Meteora, hike around, climb them, experience them and will never forget them. And then we were there. 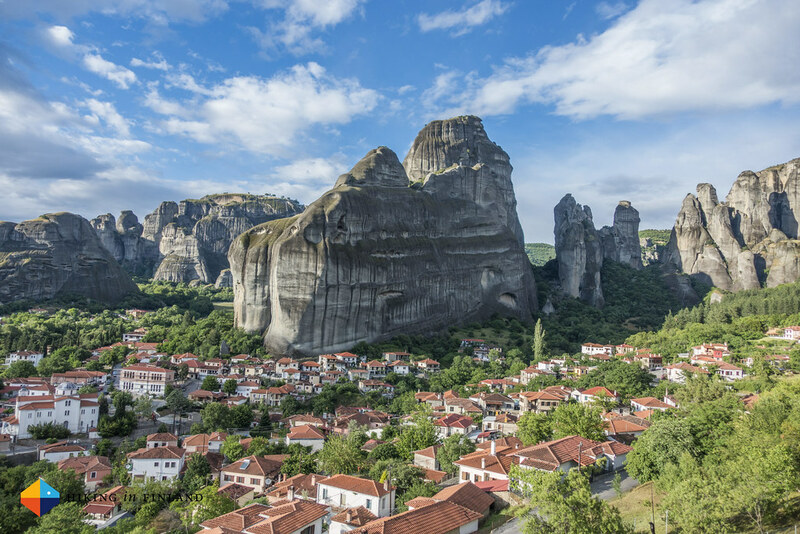 Meteora, that are immense monolithic pillars and hills that are composed of sandstone and conglomerate. Small and large pebbles stick out of them, making them one of very few places on this planet where you can see, climb and experience such rocks. And while these rocks themselves are reason enough for many people (climbers!) 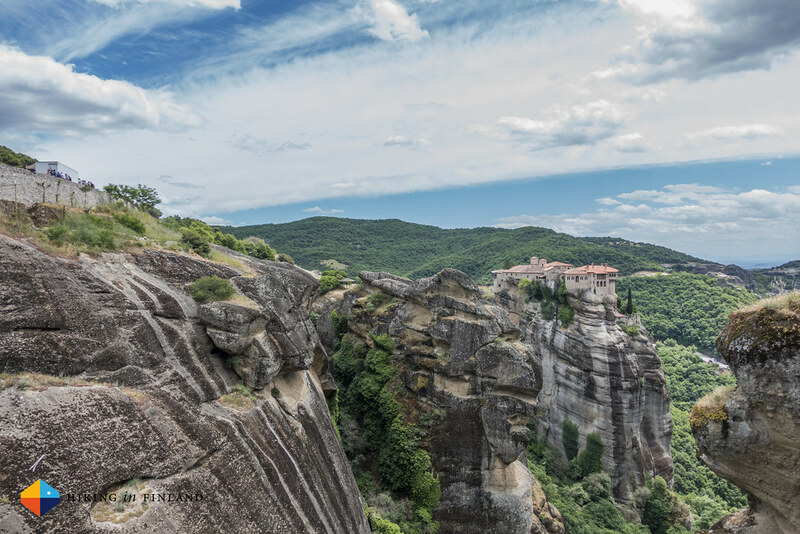 to visit Meteora, it are the seven active Eastern Orthodox monasteries on top of some of these rocks and their inhabitants which draw many, many more people. My companions and me, we were there for both - and then some. After checking in to my accommodation (see the last photo of my wee house!) and a tasty lunch at the Restaurant Meteora we were hitting the trail up one of the rocks. 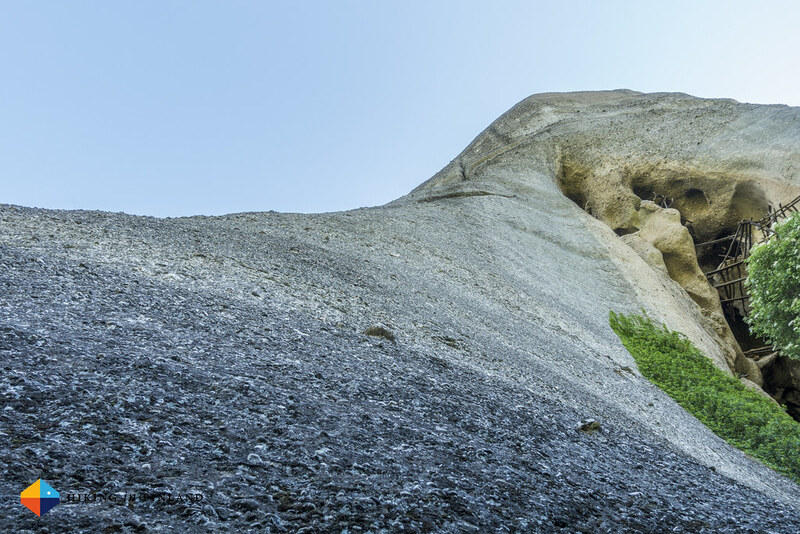 Hiking and scrambling up these pillars is a great way to get a feel of the land. 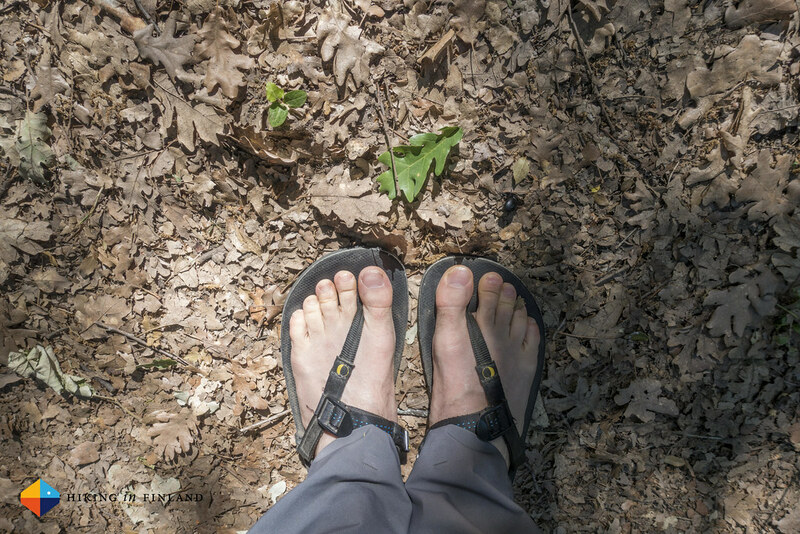 We hiked quite a bit over the next few days, through shady Oak forests, past small, hidden monasteries, up unlikely paths with stunning views, never far away from the big monasteries but never meeting another soul out on the trail. That changed when we went to visit some of the monasteries. There many souls were looking for something, while those living there were sometimes happy enough to pass on ancient wisdom which they have studied in their books. I joined in on these monastery visits, curious to see if an atheist like me can find spiritual enlightenment here, but alas all I found was beautiful architecture and even prettier views on the surrounding nature. Nature is probably as close to my religion as Islam and Buddhism are to others, and as long as we don’t get preachy or hostile with each others I believe we all can happy co-exist on this planet. And what brings me close to my god? Hiking, packrafting, cycling, flying, skiing and climbing in it. In this case I chose to worship nature by going climbing. 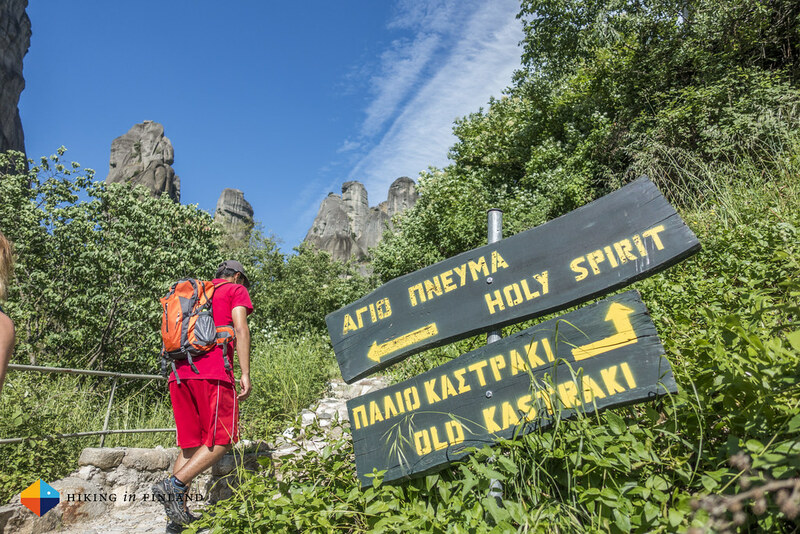 Together with my Greek partner Kosta, a local Mountain Guide, we hit up the Pillar of the Rain, an easy 5c route to get me into familiarity with the rock of Meteora. Climbing these routes which are boldly bolted (as in, you better be fine by standing five meters over your last pro) was such an amazing experience, I probably was smiling all the time being able to climb on this fantastic rock. It is just so much fun. Too quick we topped out, then left a note in the summit register and then rappelled down. 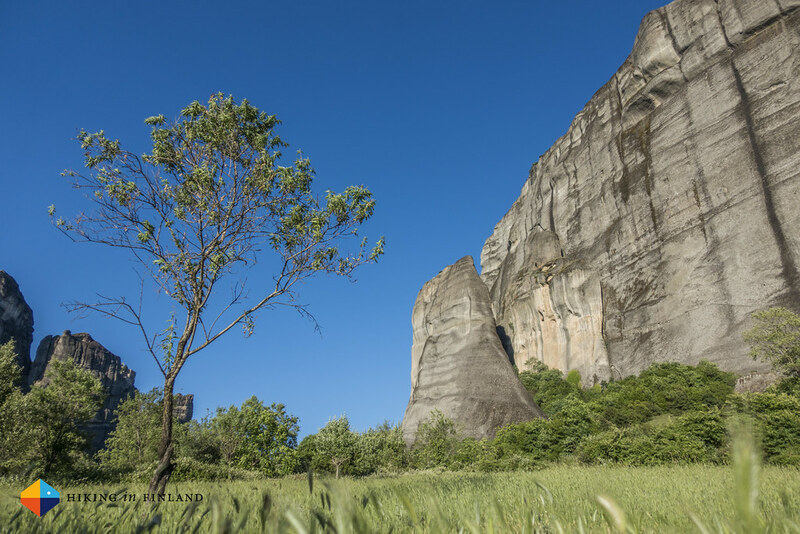 I could have continued the rest of the day climbing, though I know there will be more days of climbing in Meteora in my future so I have no regrets of not having climbed more that day. Well, actually we also went scrambling that same morning. 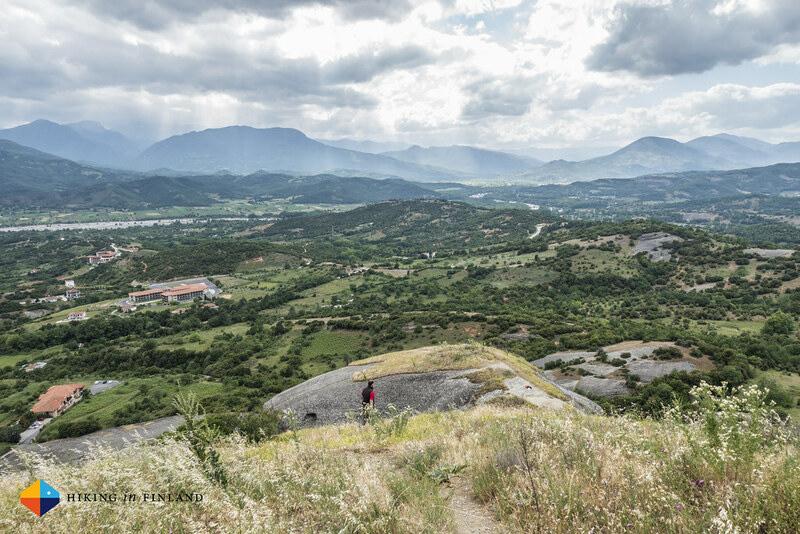 Scrambling up on a Via Cordata Tour we were clipped in to ropes while climbing up steep hills, navigating on airy ledges to arrive on a look-out over the city of Kalambaka. 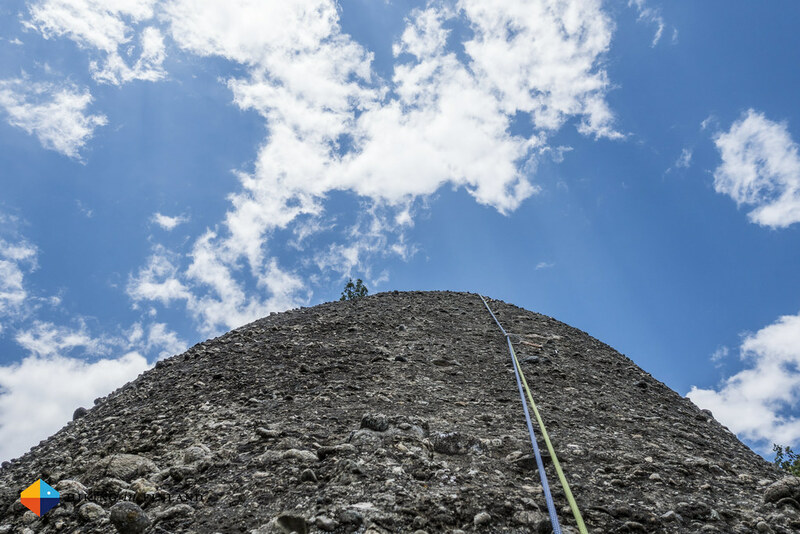 It was another great experience of climbing & scrambling among these pillars, and if you’re less inclined to rock climbing then you will surely find this a suitable and safe yet adrenaline-filled adventure. That brings me to the food, because somehow one has to fuel his body for all these adventures. The meals were delicious, from the Saganaki we ate at Restaurant Meteora, the oldest restaurant in town, which was so tasty, my mouth is watering just writing about it. Or the Gyros we ate off the main street, and many other meals - I can not recall a dish I wasn’t excited about while eating in Greece. 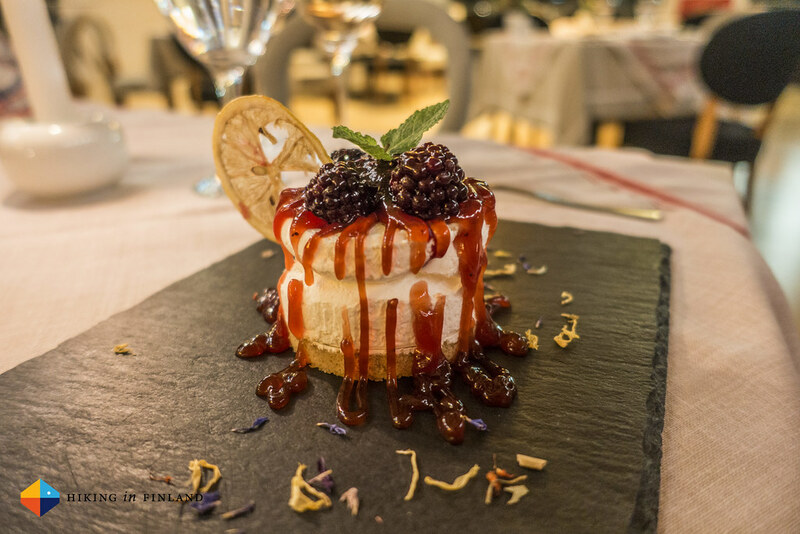 The fresh ingredients, the passion & talent of the chefs, the great atmosphere, it all makes eating out in Greece a superb experience - and is very affordable, too. And too quick to my liking our visit to Meteora was over. Together with my friends Rupert and Bernand I was sitting on a late, sunny afternoon in our bus on the way to Thessaloniki, from where we would fly out the next morning. 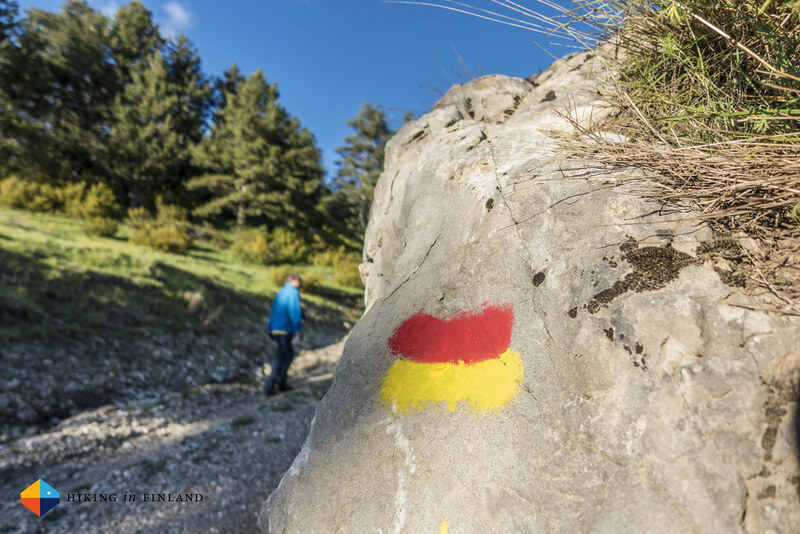 It was hard to leave this magical place with its friendly people, tasty food, beautiful nature and unique climbing, but I am looking forward to visit again with my family some day soon, and then share this unreal experience with them again. LOTS and lots of more photos in the Flickr Album. 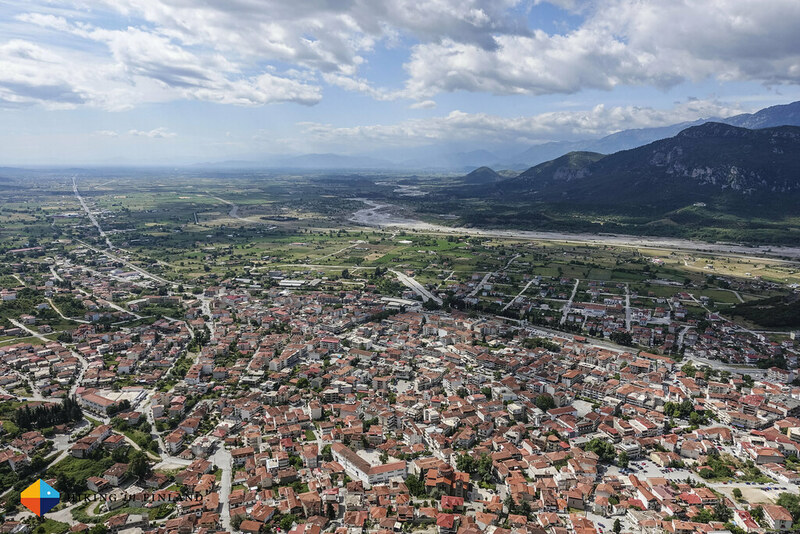 Getting There: Flying to Thessaloniki or Athens and then taking Public Transportation to reach Kalambaka (the larger of the two towns around Meteora) or Kastraki. 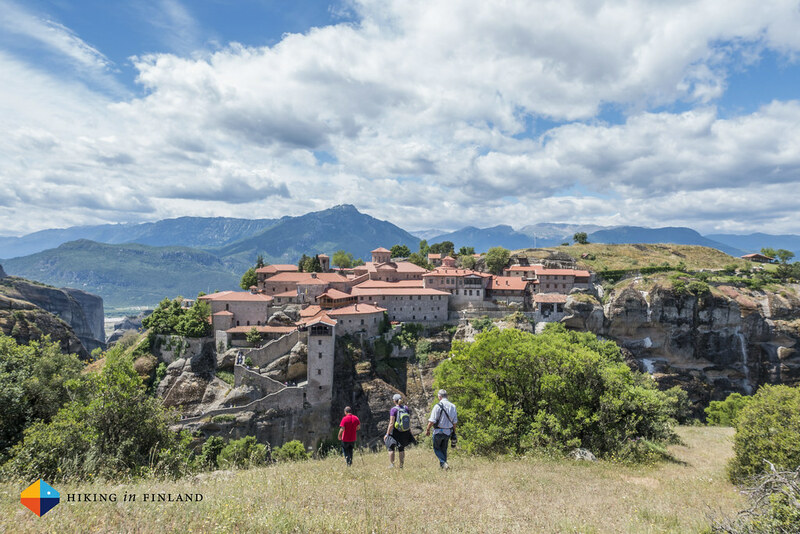 Or check out this Getting to Meteora Guide. 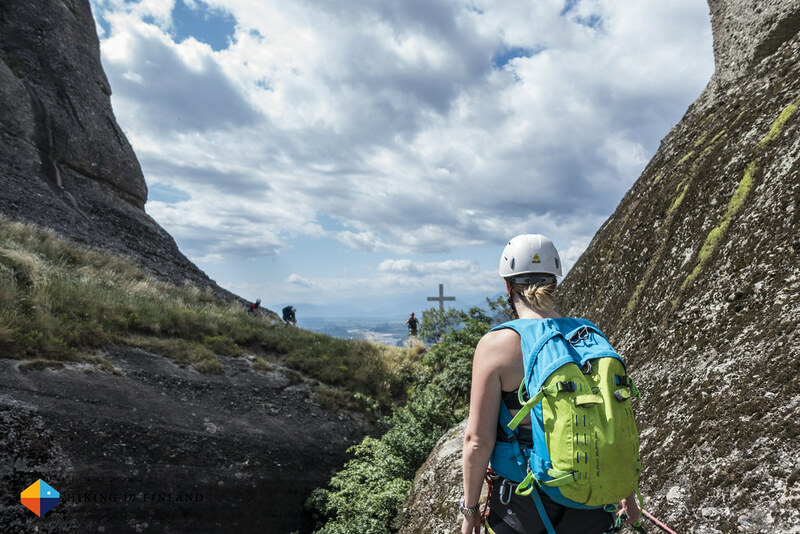 Topos: Download or print the free Petzl RocTrip Topo for starters and get a feel for the climbing. 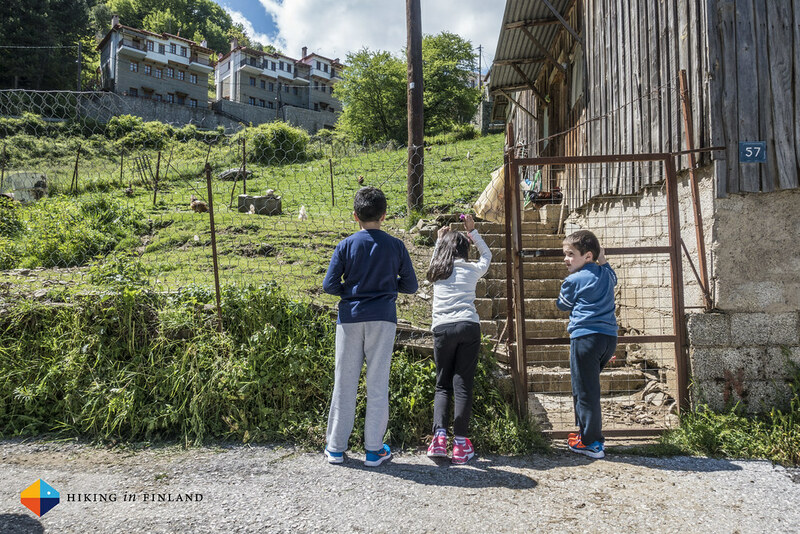 The Vertical-Life Climbing App 2.0 allows you to buy & download a lot of Topos onto your phone, while in Kalambaka you might be lucky and find one of the old, original Topo Guides in a book shop. 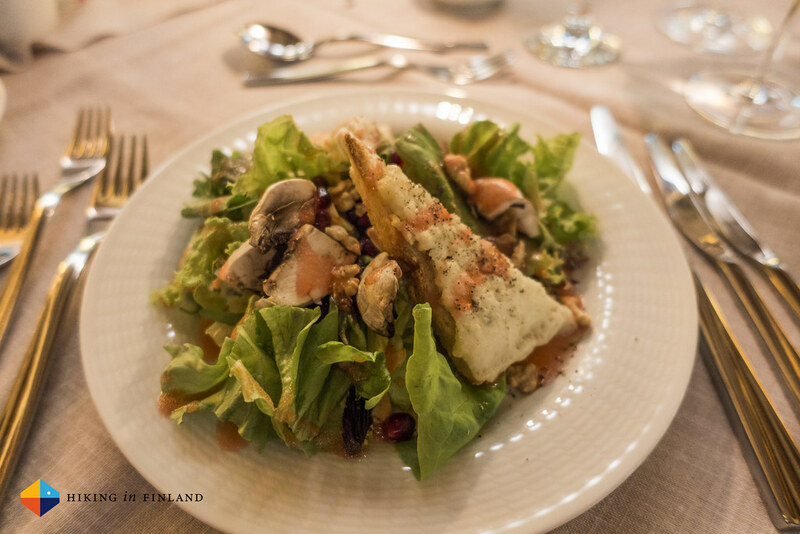 Food: Go eat at the Meteora Restaurant in the centre, their food is superb. The Meteoron Panorama Restaurant has great views & tasty food. 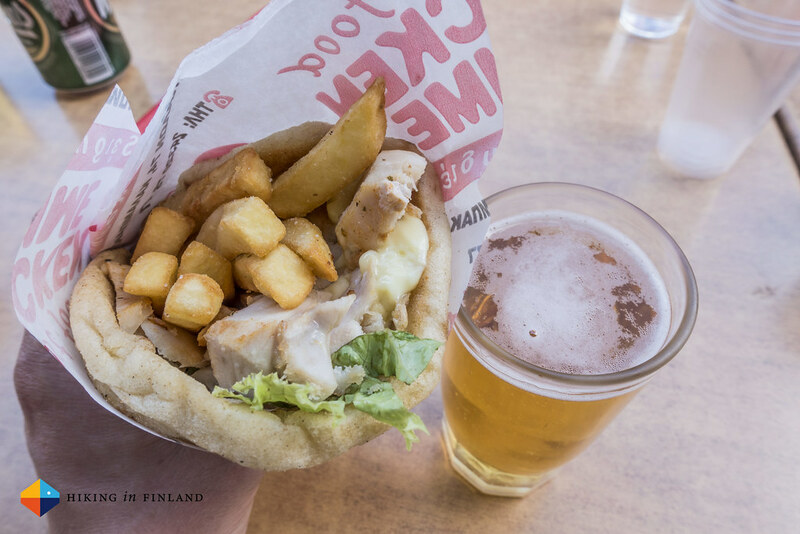 The Gyros in the small Fast Food Shop on the main street, not far from the Meteora Restaurant is great for lunch. 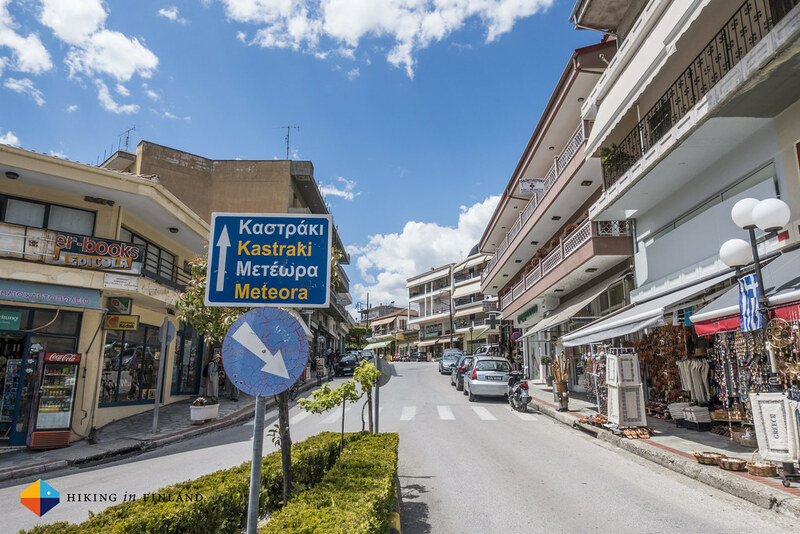 Accommodation: If you are visiting with the family or friends check out the Archontiko Mesochori, spacious rooms and a great looking breakfast will convince you. If you can do with less space check out the Guesthouse Sotiriou where I stayed and slept well. Need more luxury? 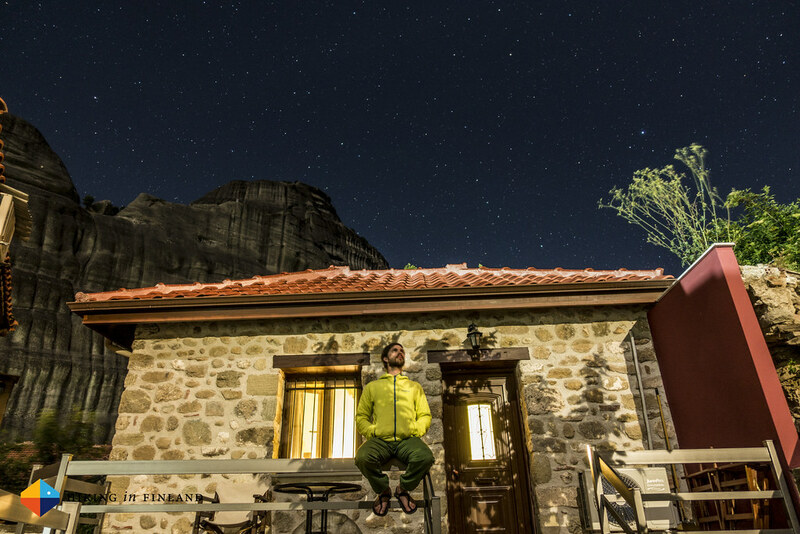 Check out the Hotel Meteora. 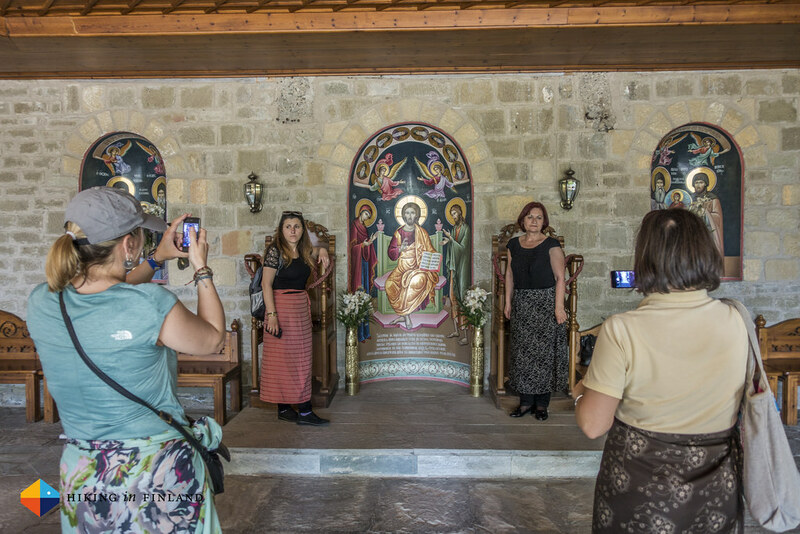 Things to do (Other than climbing): Visits to the monasteries are very popular, and for a good reason. Perched atop these pillars and constructed over centuries of hard labour, they’re inspiring places to visit. 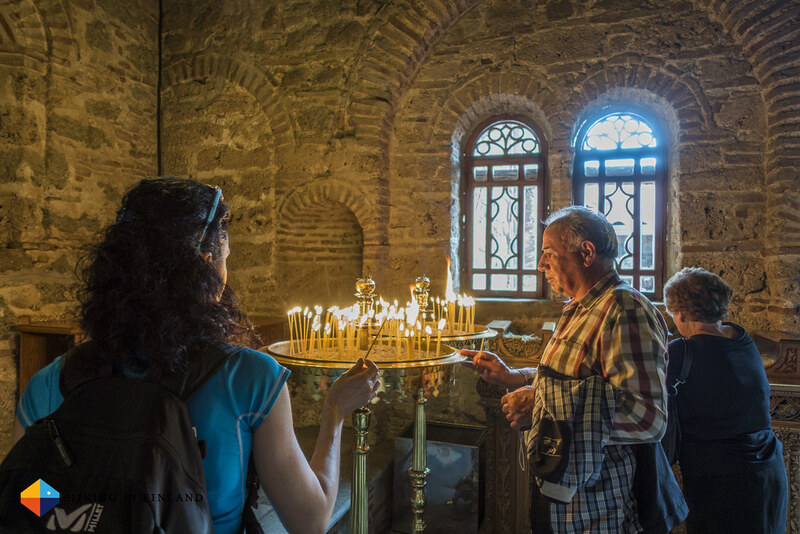 Entry fees range from 3 to 5€ and you should check beforehand when which Monastery is open for visitors. Hiking is free and you can combine it with a monatery visit. Lots of fine trails weave around and through the pillars, just pick one, take enough water and go for a nice stroll. Egyptian vultures breed at Meteora, and if your lucky you can catch a glimpse of one of these rare birds of prey (we were lucky!). There’s a feeding station where you can watch them from a safe distance - bring binoculars! Oh, and don’t miss the Sunset Tours. They might seem kitschy, but watching the sun set on these pillars is a memorable experience - not just for photographers! 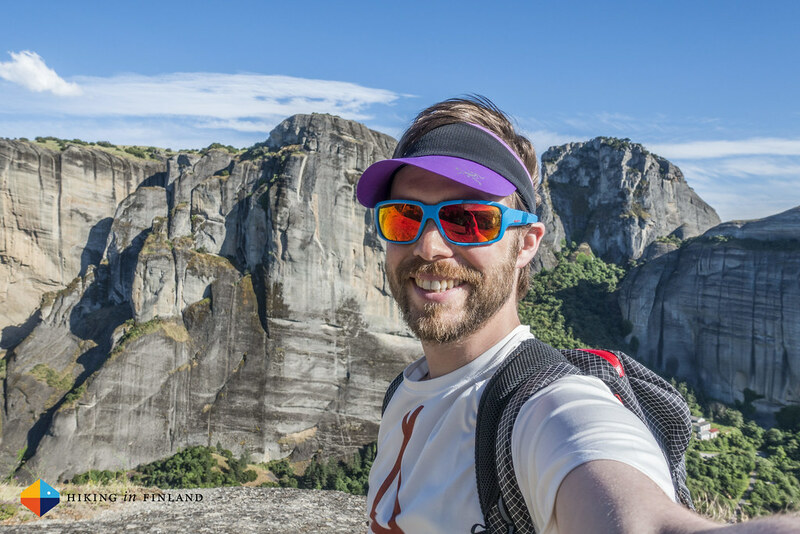 Disclaimer: I was invited to Meteora as part of the AdventureNEXT Balkans conference. This does not influence the article as I maintain full editorial control of the content published on this site. Read the Transparency Disclaimer for more information on affiliate links & blogger transparency.